In YesterCanada Elma Schemenauer tells thirty historical tales of Canada. Using her considerable story telling skill she puts us right into the various Canadian settings these stories inhabit, from the grassy fragrance of the Saskatchewan prairie, to the bone chill of the arctic, to the salt spray of the seaboards, east and west. What a fun read! You’ll find individuals, mysteries, wonders, and heroes aplenty in these 230 pages.This book is a must-have for all Canadian 150th birthday memorabilia collectors (a celebration just around the corner in 2017). Tina Janz feels torn between her parents’ wishes that she marry an upstanding (but boring) Mennonite boy and her desire for the man she loves—Frank Warkentin, the son of a Mennonite father and Gypsy mother. 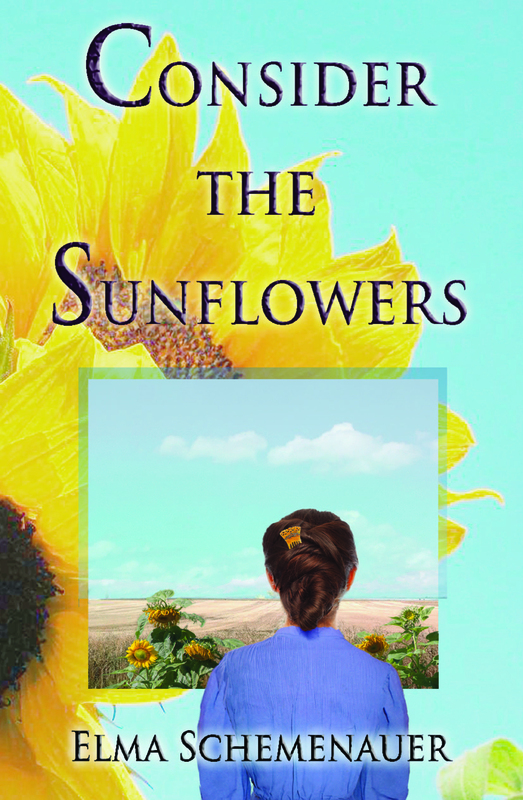 But the tug-of-war in Elma Schemenauer’s novel Consider the Sunflowers is more than between just Tina and her parents. For handsome, dashing, funny Frank doesn’t share Tina’s Mennonite faith. She soon discovers he has a violent temper. And his farm is far from town—something that doesn’t suit Tina well at all. Schemenauer takes us on a literary journey that spans the years from 1940-1947 in the lives of Tina and Frank. The place is Coyote, Saskatchewan—a fictional town near Outlook, populated by a Mennonite and non-Mennonite mix. Frank is attracted to other Mennonite outcasts like Dorrie Harms and hangs out with Scandinavian friends Thor and Leif while Tina feels torn between both worlds. 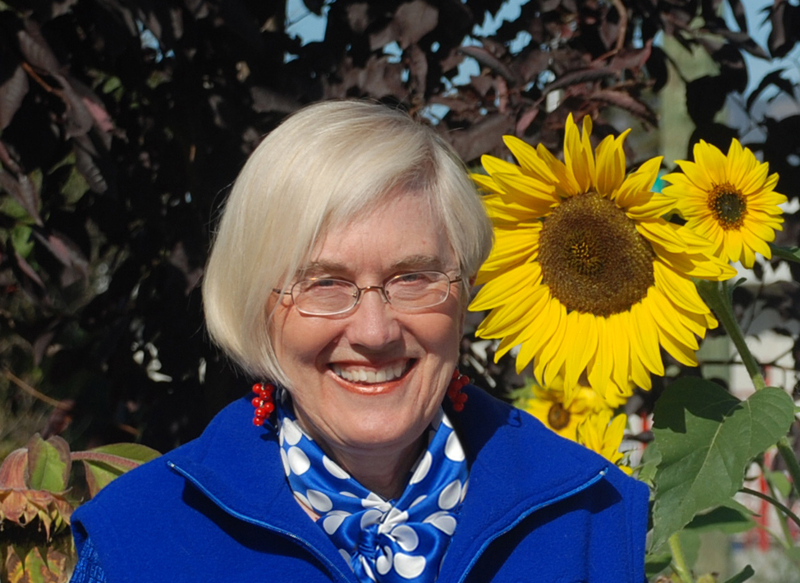 Schemenauer’s familiarity with the Mennonite lifestyle, ways of thinking, and speech mannerisms is evident throughout the book (she is of Mennonite extraction). Thus from the opening words I felt I was in an authentic world. All the Na yo’s (p. 28), sentences ending in yet (“In Saskatoon yet” – p. 128), already, and nicht (“We should have your wedding on Saturday nicht?” p. 153) rang true for me, as someone who grew up in the same people group. The story, told through Tina and Frank’s points of view, follows the ups and downs of their relationship all the while exploring many themes: how we’re molded by early experiences, what comprises love, aspects of marriage including the importance of honesty and transparency, how choices we make have consequences, what it’s like to be a Mennonite, what it’s like to be a Mennonite on the fringes, how religion and faith differ, and the overarching importance of forgiveness and trust in God no matter what the fine points of one’s creed might be. “Can you hear me?” she asked. A coyote howled in the pasture. A gust of wind ruffled Slim’s coat. As it lifted Tina’s hair off her forehead, Jesus seemed to speak to her. Not in words. More like flowers opening in her heart. I love you, he said. Do you believe that? “…she expected to feel something like holy fireworks in her heart. Instead she felt only a new orderliness, like her thoughts were sorting themselves into new file folders. She crossed the silent kitchen, climbed the stairs, and eased herself into bed” – p. 157. “Consider the lilies…” Jesus said, as He pointed out the necessity of a simple day-to-day faith in God to counter the fears and anxieties of life. In Consider the Sunflowers Schemenauer draws our attention, through Tina and Frank, to the God who still longs to be trusted with the minutiae of ordinary existence. The story is supplemented by a Mennonite timeline explaining the origin and migrations of this ethnic and religious minority. Study questions at the end of the book will be helpful for reading clubs and home school study. Also available online at Chapters Indigo by about November 15.